Community Foundation for Monterey County staff recently spoke with David Benjamin about his family’s philanthropy and their choice to include their grown children in the process. 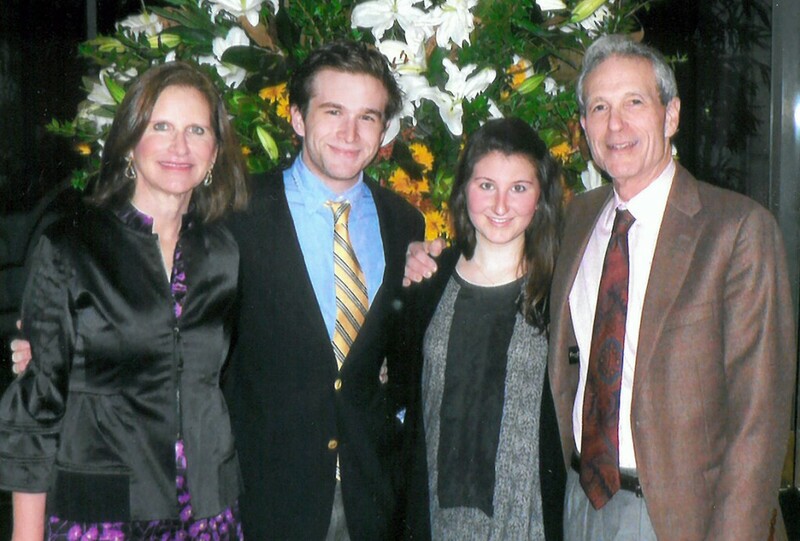 David and Laurie Benjamin have been donor advised fund holders since 1999. They recently converted their endowed fund to the Benjamin Family Foundation, a non-endowed donor advised fund at the CFMC. How did you get involved with the CFMC? What are the benefits of being a fund holder? Why did you create the Benjamin Family Foundation at the CFMC rather than a private foundation? What values did you want to pass down to your children? The Benjamins’ children, Elizabeth, 27 and David, 25 both reside in New York City, and are involved in supporting nonprofits. Their parents invited them to meet with CFMC staff Dan Baldwin and Christine Dawson on a recent visit to talk about the fund. Note: David is a former CFMC board member (1993-1998), served as Board Chair (1997-1998) and serves on the Investment Committee. Laurie is active in the Women’s Fund. The Benjamins received the CFMC Distinguished Trustee Award in 2012 for their support of local nonprofit organizations in the areas of health, education, environment and animal welfare.